QPR stormed to the top of the Sky Bet Championship with an impressive 2-0 win at Cardiff on Sunday. Steven Caulker and Tjaronn Chery scored in the second half to clinch a second successive win, with the defender netting the opener against his former club before Chery wrapped up the win with a late penalty. Rangers captain Nedum Onuoha and Chery were booked for fouls as the game threatened to spark into life, yet neither team could muster a noteworthy shot on target. Grant Hall saw an early header sail over the crossbar while defensive partner Caulker did well to deny Anthony Pilkington with a timely block. 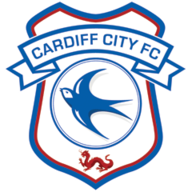 Wales defender Jazz Richards pressed forward time and again on an impressive home debut for the Bluebirds, yet having been held to a goalless draw in their opening game at Birmingham, Cardiff again failed to score. 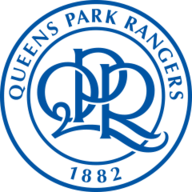 Instead QPR began the second half on the front foot when Jordan Cousins burst clear on the right flank after a clever exchange of passes with Onuoha but his cross narrowly evaded the onrushing Ngbakoto. Rangers doubled their lead after Bruno Ecuele-Manga hauled down Sebastian Polter in the penalty area five minutes from time which Chery calmly converted to score for the second game in a row, clinching all three points and top spot on goal difference.